Famous for its durability, versatility and ease-of-use, cast aluminum cookware is the cook’s choice for a wide variety of culinary adventures. The lightweight and durable construction reaches cooking temperatures faster than cast iron and the nonstick coating makes for easy clean up and incredible food release. 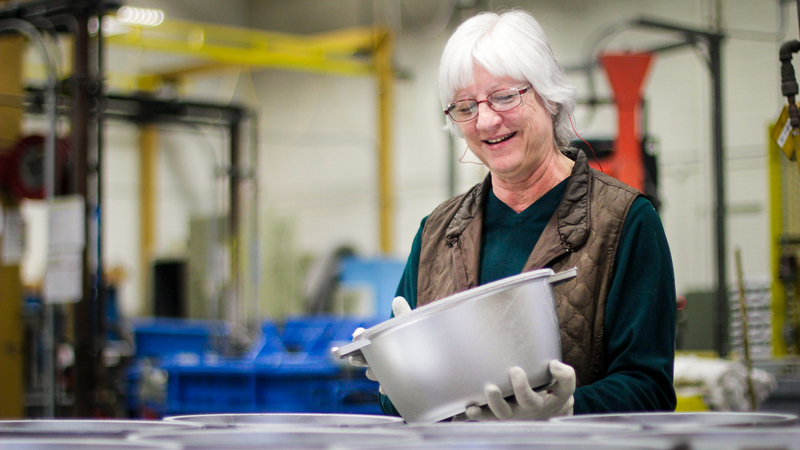 Our American Kitchen Cast Aluminum Cookware products are made in the USA from responsibly-sourced new and recycled aluminum in our factory in West Bend, Wisconsin. The heavy-gauge aluminum design of these pieces makes them incredibly durable and versatile while remaining light enough for anyone to use. With proper use and care of cast aluminum cookware, your pots and pans will stand the test of time. Our Cast Aluminum cookware offers an unbelievable cooking experience! 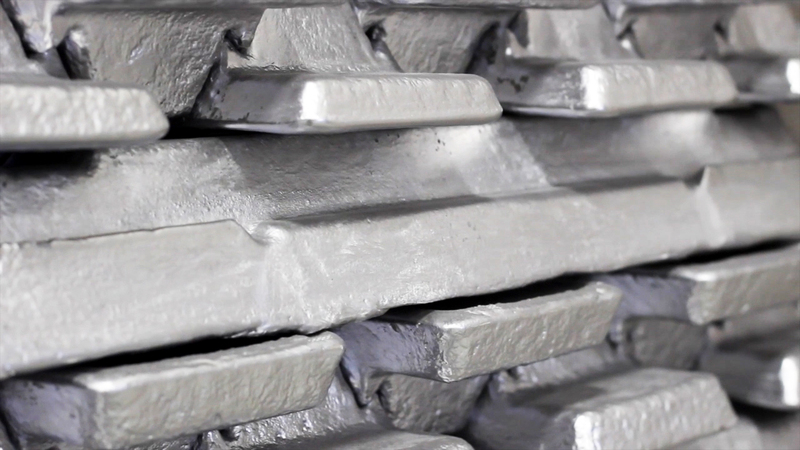 Heavy-gauge aluminum construction for incredibly even heat distribution and retention, even at low heats. Durable nonstick exterior coating for quick cleanups. 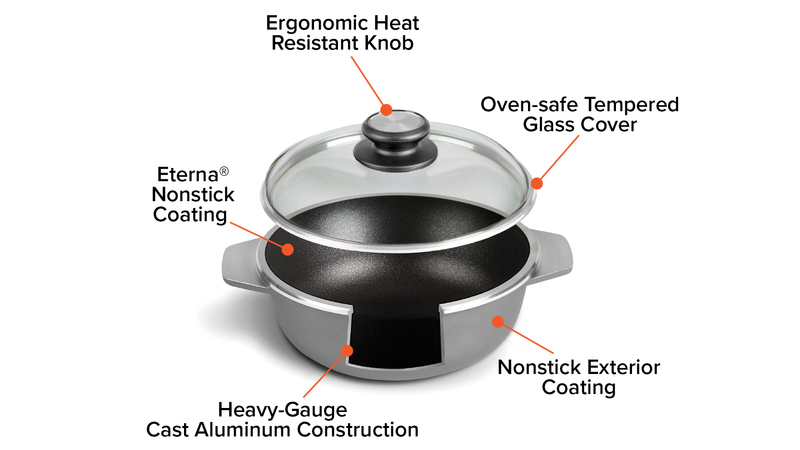 Our PFOA-free nonstick cookware interior coating for 10x more nonstick capability than our nearest leading competitor’s coating. Easily transfers from the stove top to the oven for maximum cooking versatility. Drawing on over 70 years of manufacturing experience from our parent company Regal Ware, our American-made products are created with premium quality materials in a production facility that maintains the highest standards of safety and quality. We’re so confident in our products that we offer a lifetime warranty against manufacturing defects of any kind. We stand behind our products and know that once you’ve used them, you will too. SHOP ALL CAST ALUMINUM COOKWARE NOW!